A criminal conviction can change your life forever. You could be sentenced to jail, ordered to pay hefty fines, and required to serve a period of probation, among other potential penalties. In addition, a conviction will become part of your permanent criminal record, which could affect your ability to get a job, find a place to live, or qualify for educational or professional programs. 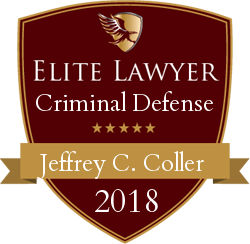 At the law firm of Jeffrey Coller, Knoxville Criminal Defense Attorney, we understand what is at stake when you are facing criminal charges, and we are dedicated to helping our clients obtain favorable outcomes in even the most challenging situations. 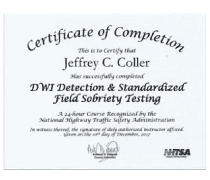 The state of Tennessee maintains some of the toughest drunk driving laws in the country. 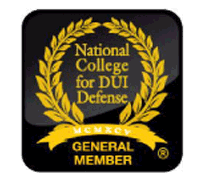 If you are convicted of driving under the influence (DUI), you will go to jail, even if it is your first offense. You will also lose your driver's license. A second or subsequent conviction will result in even more jail time and a longer period of license revocation. Our team will do everything possible to help you avoid a conviction and to get you back on the road again legally. Tennessee law also takes a hard line against illegal drugs, including marijuana. The Volunteer State has not approved a medical cannabis program so if you are caught with marijuana, you could face criminal charges. At our firm, we work hard on behalf of clients facing all types of drug charges, including the possession and trafficking of marijuana, cocaine, methamphetamine, and heroin. We will investigate the circumstances of your arrest to ensure that your rights are fully protected. 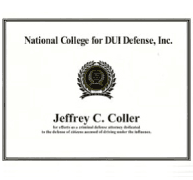 Attorney Jeffrey Coller is equipped to handle cases at both the state and federal levels. If you have been charged with any type of crime, we are ready to help you. 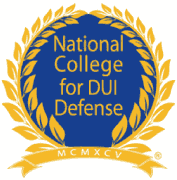 We provide trusted guidance and skilled representation to clients of all ages, including juveniles and college students. When a criminal suspect is under the age of 18, his or her case is generally handled in the Tennessee juvenile court system where the consequences are serious but less severe than in "adult" court. Our team understands that a conviction or a finding of delinquency can have a devastating effect on a child's life. We will work hard to protect the rights of juvenile clients and to help them minimize the damage to their future. It is crucial to contact an attorney immediately if you are arrested on criminal charges, and you should never answer questions from the police or prosecutors without your lawyer present. When you contact our firm, we will go right to work in helping you. We will be at your side during questioning, and we will investigate the circumstances of your arrest. From there, we will go over every available option and find the solution that works best for your case. If a trial is necessary, we are fully prepared to protect your interests inside the courtroom as well. To learn more about our firm and how we can help with your case, contact our office. Call 865-281-1000 to schedule a free, no-obligation consultation today. We serve clients in Jacksboro, Campbell County, and the surrounding areas.